I grew up in New Orleans, where I live now, and my parents have always lived here, too, Until after Hurricane Katrina flooded my father's house in 2005, and he and his wife moved up to Kennebunk, ME to live permanently. We have visited the area many times over the years, and last summer we toured around Vermont before landing in Kennebunk at the end of vacation. This year we decided to head north of Portland in Maine to visit Camden, Rockland, and Acadia National Park which we had never seen before heading to Kennebunk. The coast of Maine is beautiful with its rocks, water, and quaint towns. New England has an ambiance that is so different from New Orleans. It helps that the temperatures during the day were in the 70's while it was blistering hot at home. Though New Orleans is home to wonderful food, we are quite fond of the lobster, clams, and scallops that are so plentiful in Maine. Last year, when we were in Vermont, I was so impressed to find public libraries in all the little towns that we drove through. I got a few pictures, but I did not capture every single one that we saw. This year, I decided to stop and capture the image of all the libraries that I found. Even though these libraries may offer limited hours, the towns do support them. We all know the importance of libraries in every community. Below are pictures of all the libraries that I found this trip. The other thing that I make sure to do on vacation is read. I wanted to take print books with me, so I picked the two thickest ones in my pile that I brought home from school. That way I would only need to take two books with me. We did have plenty of time to read this trip and these books did not diappoint. 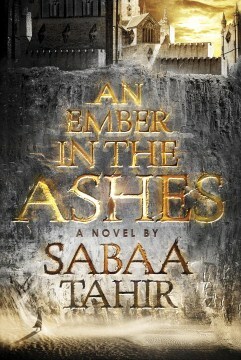 First I read Tahir's An Ember in the Ashes. I really wasn't ready to immerse myself in another fantasy series, but it had such good reviews that I decided to give it a try. It made for a great vacation read. I liked the story as told from the two different points of view. I also liked the fact that it seemed to take place long ago, but they had access to technologies that we only dream of. This seems to be a new trend, as I just finished Nimona where the characters live in a kingdom of long ago with quite advanced technology at their disposal. I know that the sequel to Tahir's book is out next month, and I can't wait to read it. My second book of the trip was the number two book in a duet. 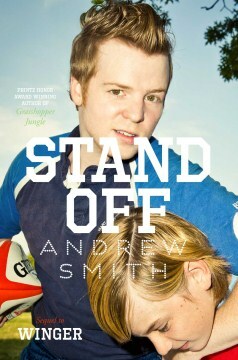 I didn't feel that I had to read Andrew Smith's sequel to Winger because I think that the book stands on its own. However, I love everything that Smith writes, and I wanted to see what he could do with the characters. I didn't think that Stand off was as good as the first one, but I certainly enjoyed revisiting old friends. It get me engrossed and helped pass the time as our airplane sat on the tarmac for 60 minutes waiting for catering for an hour's flight. I love getting a chance to travel somewhere new and feel for even a brief time that I am part of this place. Now that July 4th has come and gone, I need to start thinking about the school year to come and my plans for making it another great year for the PFTSTA library.